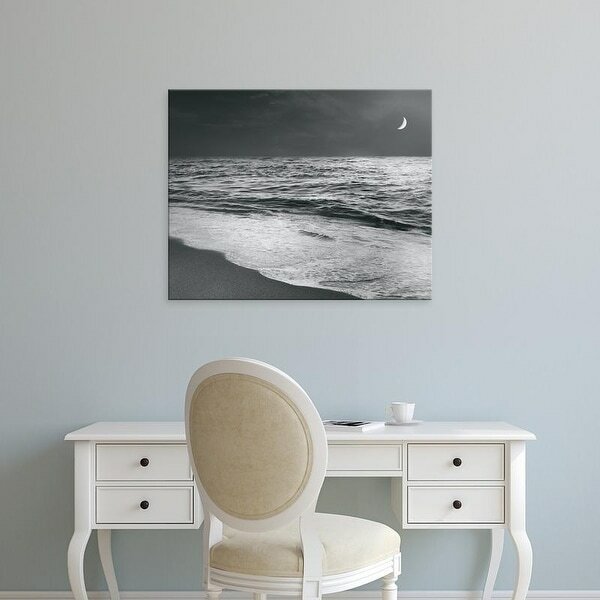 This museum-quality canvas print by Sue Schlabach titled "Moonrise Beach Black and White" is available in 4 options- Stretched Canvas, Modern Black Frame, Classic Black Frame, and Brazilian Barnwood Frame options. The Stretched Canvas option is beautifully wrapped over a 1.5" frame, and the Framed options are wrapped over a 0.75" frame. Produced using advanced printing equipment, "Moonrise Beach Black and White" arrives with a sawtooth installed, ready to hang on your wall. An accessible substitute to expensive originals, our premium canvases have vibrant colors and rich surface texture. Dimensions 24.0 In. X 30.0 In. X 0.75 In.